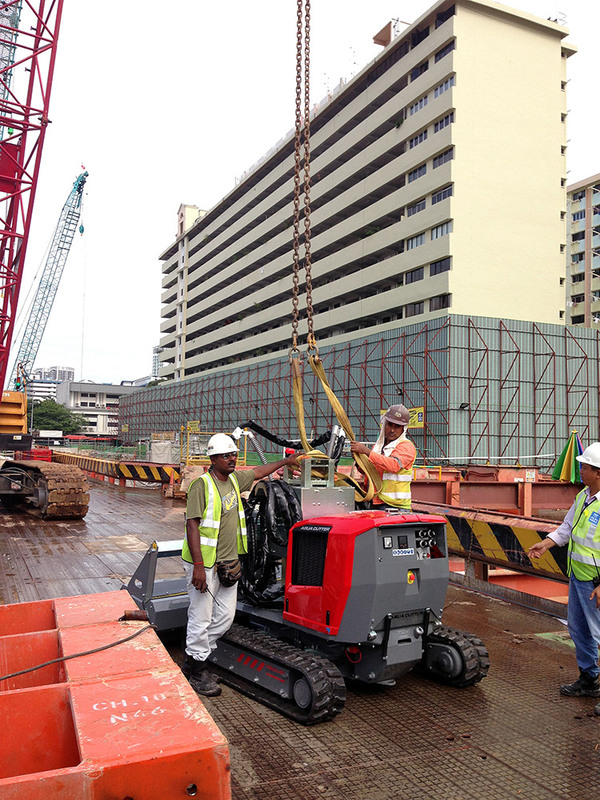 Closely following Australian contractor, McConnell Dowell’s delivery of its first Aquajet hydrodemolition AquaCutter 710V Classic for Singapore’s MRT Downtown Line Stage 2 contract C917A, a second unit was ordered by China State Construction Engineering. 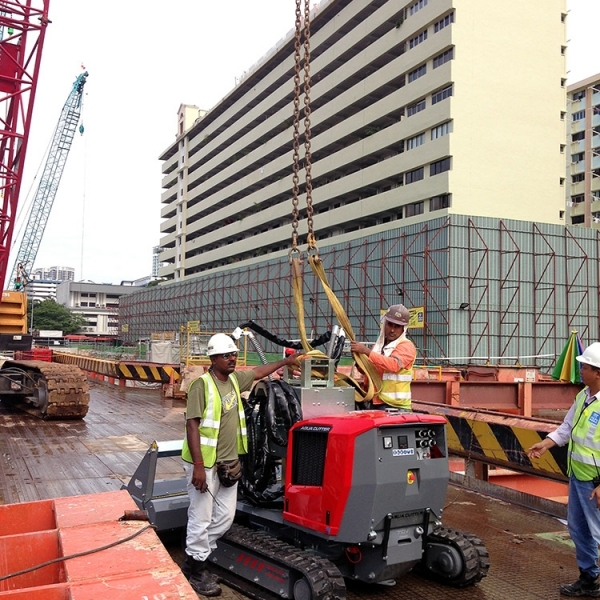 On being awarded its first MRT contract in Singapore, China State Construction Engineering Corporation Ltd of China, has taken delivery of an Aquajet 710V robotic water cutter to help speed work on a diagram wall; forming part of its two contracts on the Downtown Line Stage 3 project. Contract 929 includes construction of Kaki Bukit station, while contact 932A includes the construction of Kallang Bahru station. Work began in July 2011 and completion is expected by 2017. The 21-km long DTL3 is the final stretch of the 42km Downtown Line. “In addition to high productivity and reduced manpower costs, they were looking for very precise work, which is not possible to achieve with jackhammers,” says Mr Lee, Regional Sales Manager for Asia Waterjet Equipment, the Asia distributor for Aquajet Systems AB of Sweden. “The contractor wanted only a shallow cut to expose the rebar, so that surface panels could be installed quickly and accurately. 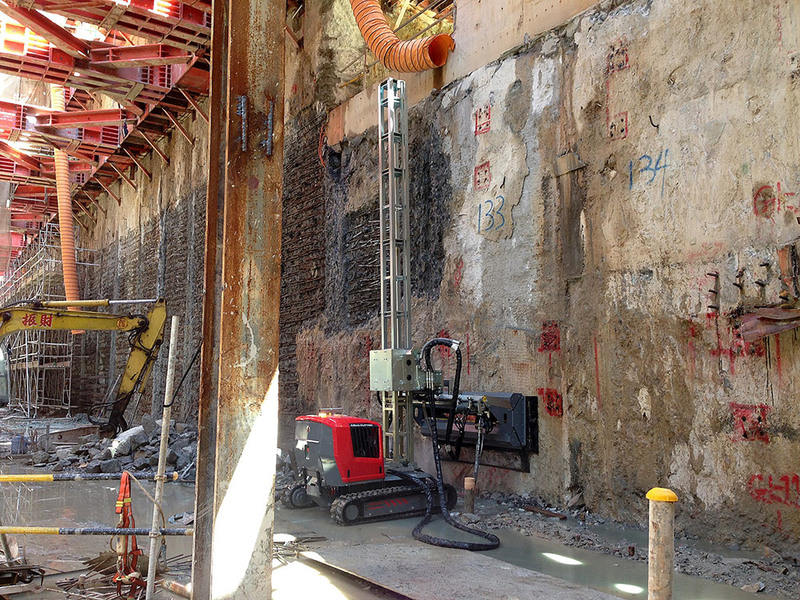 Both orders have provided Hydrodemolition technology with a huge boost in Singapore, enhancing the image of hydrodemolition efficiency. 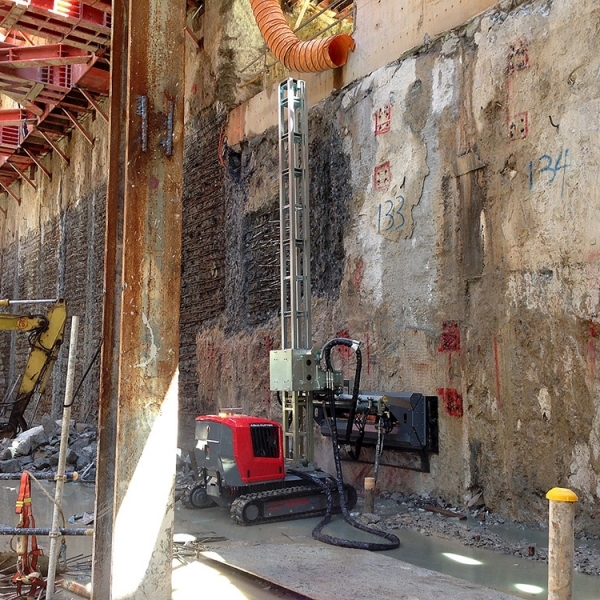 The use of hydrodemolition technology is expected to increase in Singapore in future, following government policy to improve productivity and therefore reduce reliance upon foreign labour.